BTW, Happy Birthday to Brian Setzer, who is a fantastic guitar player and singer. One thing that I found to be a bit odd is that, with the latest Xcode 5 and iOS 7 SDK, if you create a UITextView inside of a UITableViewCell in Interface Builder, and change the font of the text view, it will not use your changed font in the simulator or on a device. After checking with Stack Overflow, I found that if I ticked the Selectable property for my UITextView, all of a sudden it started to respect the new font that I had selected. I am not sure if that is a bug or by design, anyone have any ideas or cite documentation one way or the other? BTW, Happy Birthday to Leonard Nimoy. Live long and prosper. Ugh, this was a bit messy. You had to make sure that your MyCustomCell.xib file had the file’s owner pointing back to your view controller class, and that you set up an IBOutlet to the cell. The ability to take a project and require the latest version of iOS can be a refreshing thing, as it allows one to come up to the latest APIs and practices without having to maintain painful backward compatibility. Just such a thing happened today as I learned about the proper way to use a UITableViewCell from a NIB file. Because you have registered the NIB file with the cell identifier on your table view, the dequeueReusableCellWithIdentifier method knows how to either reuse or create a cell without having to explicitly do it in code. I like less heft. BTW, Happy St. Patrick’s Day to everyone, Irish and non-Irish alike. Please be safe out there and don’t do anything dumb, which is actually a good rule to live by the other 364.24 days of the year as well. This one still doesn’t make sense to me, but I need to put it to bed and move on. 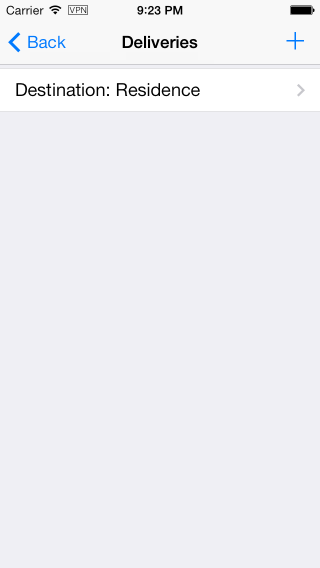 When retooling an app for the latest iOS SDK, the UIPopoverController arrow displays incorrectly on iOS 7 in certain instances. And I am happy once again. Although I would still like to know why the original code does not work, if anyone has any ideas please feel free to comment. As you can see from the first image, the popover is positioned correctly (notice the vertical placement of the two line table view inside the popover, it is showing the same in both examples), it is just the arrow that is drawn incorrectly. BTW, Happy Birthday to Tim Kazurinsky, who was great in his all-too-brief stint on Saturday Night Live, and utterly fantastic in the Police Academy series of films. And you can adjust the spacing of the header and footer by changing the 4.0f values in the method above. EDIT: By the way, don’t try to set your tableHeaderView or tableFooterView frame to a height of 0.0f, as if you do then it just puts in the extra space. 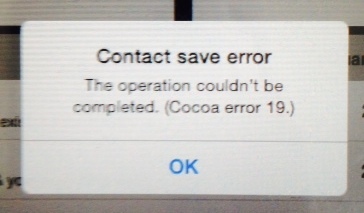 It must be that the Cocoa Touch framework sees that you have a zero height view, and just considers it as null. Even a height value of 0.1f is good enough, if you want a table view that cozies right up to the top with no space in between. BTW, an anniversary farewell to Nelson Briles, who was a pitcher for the Pittsburgh Pirates (and other teams), and was a founding figure of the Pirates Fantasy Camp. Unfortunately he passed away on this day in 2005, so I did not get to meet him since my first Fantasy Camp was in 2011. If you have UITextField controls inside of a table view cell, and you are hooked into one of the UITextFieldDelegate methods, then you might need to determine which UITableViewCell contains a specified UIControl inside of a delegate method. 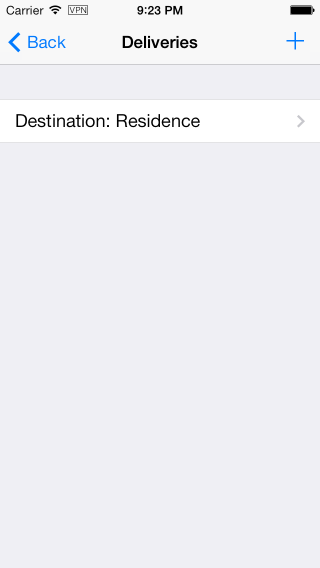 However, when building and running under the iOS 7 SDK, this of course does not work any more. Since I built this category off of UIView, it will work with most common items built on top of UIView or UIControl that you would put in a table view cell, such as UILabel, UITextField, UITextView, etc. BTW, Happy Anniversary to The Beatles, who first visited the United States 50 years ago today. EDIT: My first attempt to create the findParentCellInTableView method ended in disaster, as I forgot to take into account the fact that table view cells can scroll off the screen and possible get reused. As a result, I created a method that walks up the view chain more intelligently than simply going to the superview’s superview. As always, please let me know if you have any comments. The NSRegularExpression class is handy for searching and parsing strings. That is, it is handy until it starts to fail at seemingly random intervals. I had a regex that was working fine on my small set of initial test data, but when I expanded it to work on a slightly larger and varied set of data, all of a sudden the weather turned a bit cloudy. After some investigation on Stack Overflow and diving through the Apple documentation, I realized that I should probably add the NSRegularExpressionDotMatchesLineSeparators option to my NSRegularExpression, and the skies turned bright and sunny again. If you leave off the NSRegularExpressionDotMatchesLineSeparators flag, and theString contains new line characters in between the sentinels, you end up with no text enumerated with the block. BTW, Happy Birthday to Steven Spielberg, one of the true geniuses of our time.